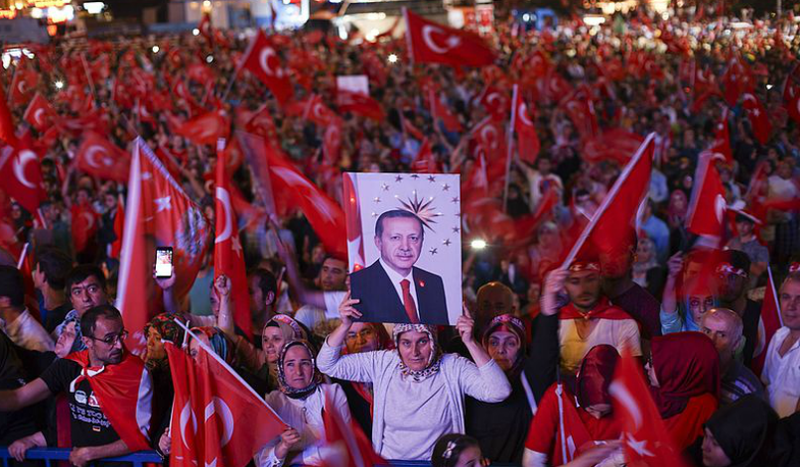 Turkish President Recep Tayyip Erdoğan’s rhetoric and control of his image is at the core of his electoral success, Katharina Botel-Azzinnaro wrote for the European Council on Foreign Relations. He is a master of using vivid symbols and imagery to convey his ideas, Botel-Azzinnaro said, and all these ideas lead back to one core idea which is the unity of Turkey against outside forces. Erdoğan also uses repetition for emphasis and knows the emotional value of poetry in his speeches, she said, and his soft power skills even helped him to thwart a coup attempt. “The influence strategy Erdoğan used in both speeches focuses on nationalist, emotive rhetoric designed to build a connection with the audience,” she said. Like Putin, Erdoğan also has another important tool in his soft-power arsenal: almost-blanket control of the media narrative, especially in the broadcast media. This prevents holes being poked too publicly in the ideas he is trying to convey.